Optional one or two layers of frills. 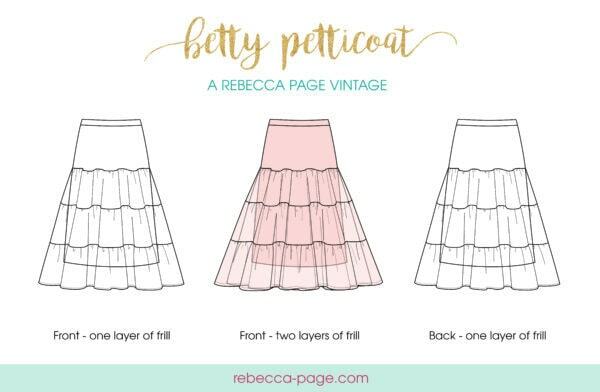 Take your circle skirt, the Betty, or even the Paris, and skyrocket the wow factor by adding volume with this gorgeously frilly and twirly vintage petticoat sewing pattern. 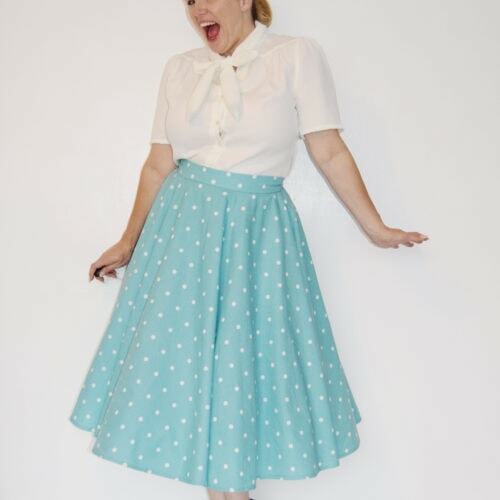 The Betty Petticoat is the finishing touch for any special occasion or vintage look! A combination of stretchy knits and woven fabrics, it is easy to sew and simply pulls on over the hips with no fastenings: comfortable va-va-voom for channeling bygone eras and class. 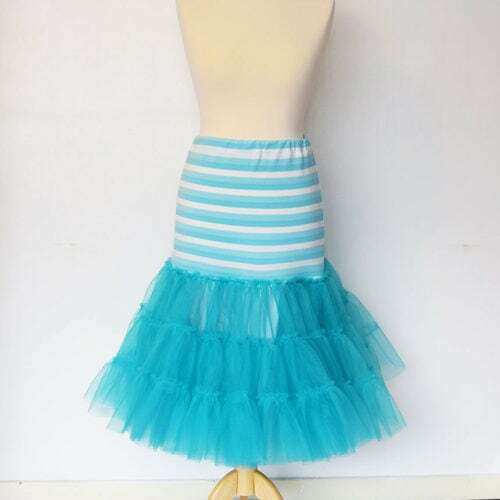 Fabrics – The upper part of the petticoat is suitable for a stretchy knits (with at least 40% stretch). 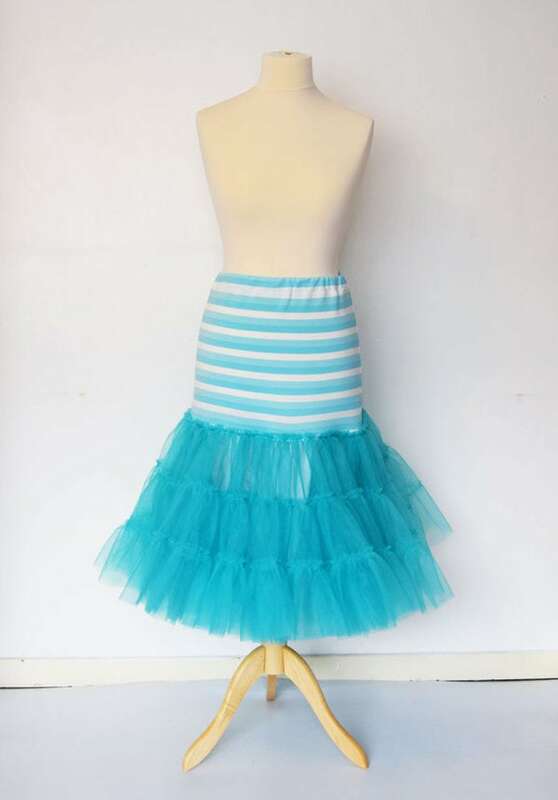 The bottom part of the petticoat is suitable for lightweight wovens, tulle or netting. See the fabric requirements in the gallery above for yardage. A serger or overlocker is optional but NOT required. Format – This trim-free pattern is a downloadable PDF and comes in A4 or US letter printable sizes, however an A0 format (pattern pieces only) is also included should you wish to have your pattern printed professionally. PDF Layers allow you to select and print only the size/s you want. Tag your photos with #rpbettypetticoat on Instagram.